You don't 'Gotta catch 'em all' - just one PokeCar that gets you Pokemon Go-ing. Here are some of our favourite cars to get you started. Perhaps the most recognisable Pokemon of them all, Pikachu is Ash's yellow sidekick that's always prone to emitting electric shocks. It technically evolves into a Raichu, but Ash's companion refuses to ever do so. The fire-type Charmander will also be familiar to many, evolving into a Charmeleon, before taking on its final and mighty Charizard form. Looking at kids these days play with their high-definition iPads, iPhone 6s and Samsung Note 6s, I feel incredibly archaic when thinking back on my own childhood - my gaming console of choice was a clear-coloured Gameboy Pocket (not even a Gameboy Colour). And my go-to game? Pokemon Yellow. Having spent endless hours playing Pokemon Yellow, Pikachu will always have a special place in my heart. It's annoying, frustrating, difficult, but personable, lovable, and endlessly special. 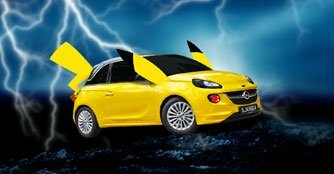 When deciding on a 'starter' car, I am immediately drawn to the Opel Adam and its Pikachu characteristics. It's not a car most new drivers will consider. It comes from a brand that lacks popularity in Singapore, is not the easiest car to drive, and will certainly draw curious looks. But that's what I love about it. It's incredibly unique, and forces you to really learn the intricacies of the car to fully appreciate it. 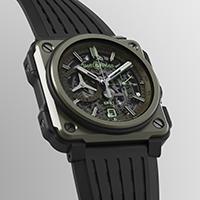 Its adorable looks and cute demeanour puts a smile on my face every time I look at it. Are there better 'starter' cars out there? Most definitely. I wouldn't even deny that the Adam might objectively be the least accomplished car among the four. But that's what draws me to it. The Adam, just like Pikachu, is incredibly personal. It won't be just another car you see on the road. I know that when I am driving the Adam, this car is uniquely mine. Just like how Pikachu is a adorable but frustrating little bugger that Ash eventually forged an unbreakable bond with, the Adam is the sort of car you will absolutely refuse to let go, once you give it enough time. Like the mild-mannered Charmander, mild character lines adorned the bottom of the first generation of this five-door hatchback. Though not particularly large, the Charmander has more than a few tricks. Its claws on its hands and feet for instance are razor sharp, allowing it to easily cut through many substances. Like its Pokemon spirit animal, the Honda Jazz may be small on the outside but is practical and spacious on the inside. The Jazz's 1.5-litre engine may also have a small displacement, but is more than able to go up against higher-powered rivals like the Hyundai Veloster Turbo - much like the Charmander, who is known to fight off characters many times its size when backed into a corner. In its third iteration, the Honda Jazz is one of the few small cars in the Singaporean market that's still being built in Japan. Larger and more powerful than the model it replaces, the Honda Jazz plays a tune of evolution rather than revolution. With a stronger stance, emphasised by more pronounced crease lines, a stretched overall length and a longer wheelbase, bigger windscreen for greater visibility, the little Charmander is on its way to becoming a Charizard. This compact family hatchback has won the hearts of many with its stylish and fun-to-drive characteristic and has even bagged sgCarMart's Car of the Year award back in 2014. 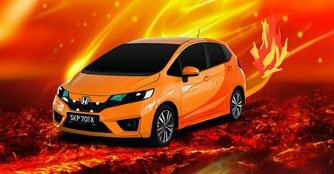 Like its Pokemon spirit, the Honda Jazz may be a common sight on the roads but remains much loved by people around the world. 185/65R15 to 195/65R15 or 195/60R15? Which one is better?